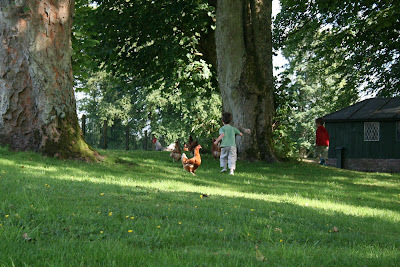 Featherglen: A Bit too Chicken? 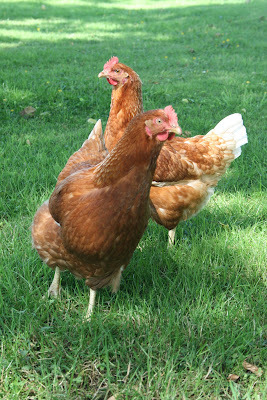 Is it just me, or does anyone else find chickens inherently lovable? Despite looking somewhat ridiculous and appearing to not have much brain capacity, I can't help liking them. In fact I've almost forgiven some I lived next to a few years ago, for pecking up my precious seeds and pooping on my doorstep. But not the turkey. Ever. But that's another story. We would really love to keep some, but we have a small but vicious problem. Pine martens. They may be little but they are also strong and very intelligent. And they also finished off a couple of sweet guinea pigs we were looking after for a friend while she was on holiday, which makes them completely evil. 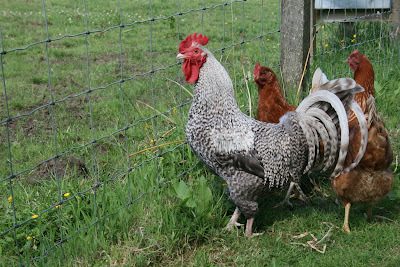 Sigh...has anyone got any ideas for keeping chickens out of the clutches of voracious beasts? Whilst giving the chooks a nice life too? Answers please! Ooh yes, I almost forgot. Tomorrow I will be announcing the winner of my Postcard Competition. It's been very exciting getting your lovely cards in the post! All of them beautiful...how to choose? so excited to know (and see!!) the results!